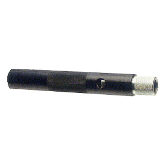 for cutters, drills, and more. 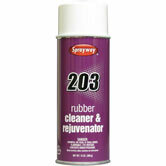 Rubber Cleaner and Rejuvenator comes in a 13 oz. spray can, it cleans and revitalizes ink-laden, hardened rubber rollers and blankets in the print shop. It restores smooth surfaces and increases productivity, Removes glaze from gum, friction, ink, coatings, oxidation, and light embossing. 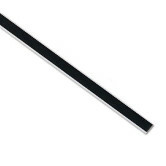 Use Rubber Cleaner and Rejuvenator Regularly to help prolong the life of rollers. 12" replacement cutting mat for the Carl 12" rotary trimmers. 12" replacement cutting mats for the Carl 12" rotary trimmers. Pack of 2. 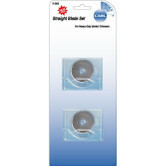 12" replacement cutting mats for the Carl 12" rotary trimmers. Pack of 4. 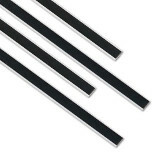 15" replacement cutting mats for the Carl 15" rotary trimmers. Pack of 2. 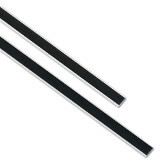 18" replacement cutting mats for the Carl 18" rotary trimmers. Pack of 2. 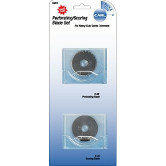 Replacement cutting blades for all Carl heavy duty rotary trimmers. Pack of 2. 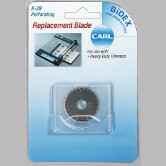 Replacement perforating blade for all Carl heavy duty rotary trimmers. 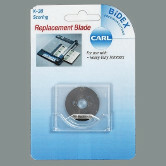 Replacement scoring blade for all Carl heavy duty rotary trimmers. 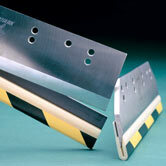 One scoring blade and one perforating blade. 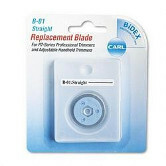 Fits all Carl heavy duty rotary trimmers. 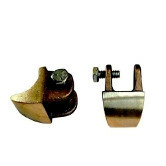 Replacement and accessory blades for the CC-10 Handheld Rotary Trimmer. These self-healing mats remains smooth as glass even after thousands of cuts. 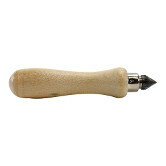 They are perfect for cutting paper, cloth, felt, vinyl, film, photos, and many other materials. 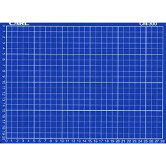 These mats feature a large, easy to read, calibrated measurement scale.